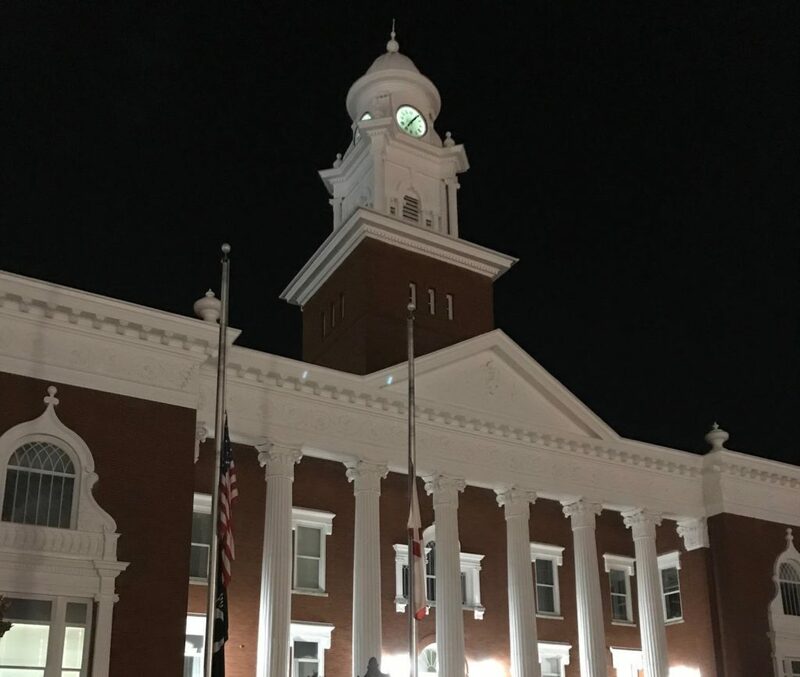 You know the place – a dominant courthouse, a few oak trees, a park and a few businesses with storefronts along a sidewalk that is sheltered by awnings. Perhaps there is a post office, two or three churches, a museum or a library. Throw in a handful of offices, a diner or a coffee shop, and you have a small town downtown district. They are scattered all throughout Alabama and serve as the primary junction in places like Eufaula, Ozark, Demopolis, Winfield, and Cullman. Some are weathering hard times as commerce has shifted beyond downtown to lower cost outposts along the highways—like the Walmart Supercenter or malls with Applebee’s and Buffalo Wild Wings. 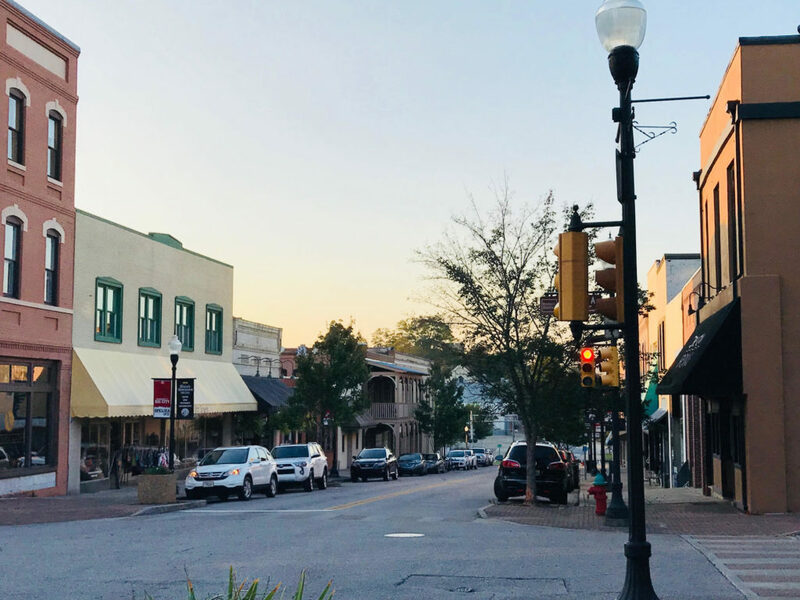 In East Central Alabama’s Lee County, the city of Opelika is reversing that trend and making downtown the place to be. 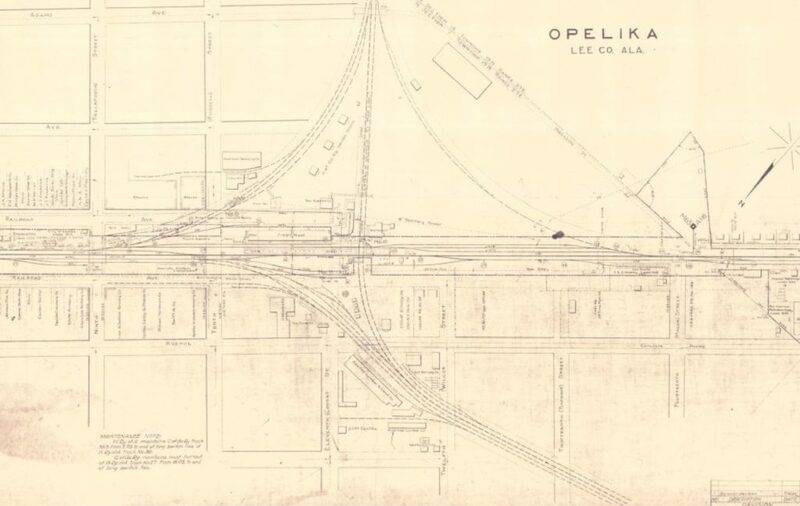 Opelika, a city with a population pushing 30,000, has a traditional, small-town Alabama downtown, but with a railroad corridor and two adjacent avenues at its northern boundary. 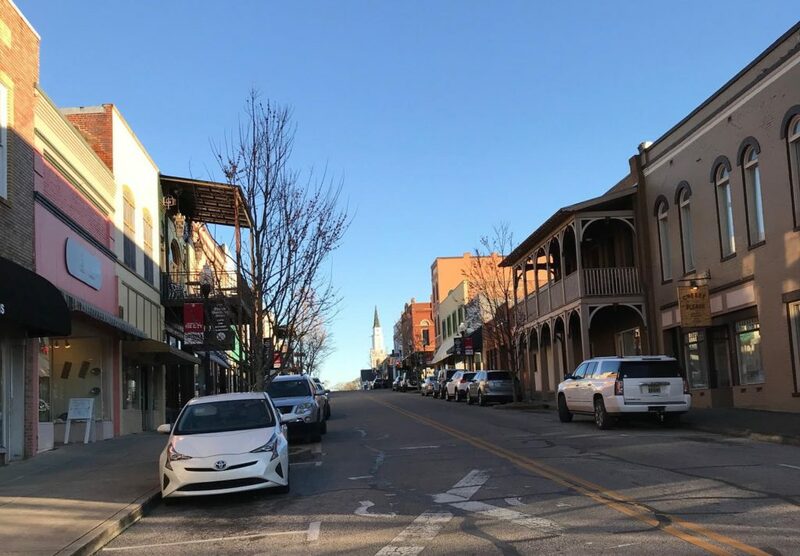 Opelika is often overshadowed by its sister city Auburn to the west with its well-known university and status as a destination during college football season. 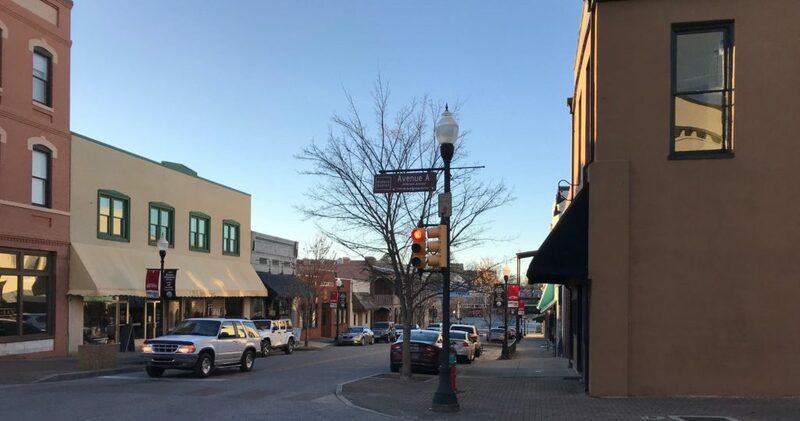 But with an economy that has benefitted from the presence of nearby Auburn University, Opelika has started a different trend and is growing from within by revitalizing its downtown. 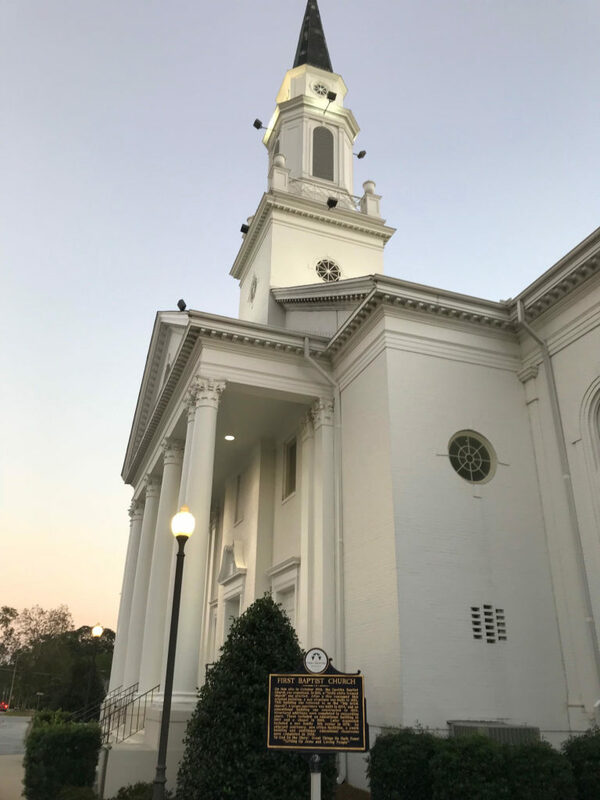 Long-time Opelika resident Glenn Buxton, a 50-year veteran of the radio business who now serves as the director of the local museum, explains how Opelika resurgence has become noticeable in just the last several years. After 5 p.m. on weekdays and the entire weekend, activity ceases in many a downtown. After working hours, people migrate out to their homes on the edge of town, out in the country and away from the blocks surrounding the courthouse square. That trend had reversed for Opelika. While many of its establishments close shop after business hours, there are also businesses that start the day around the same time. 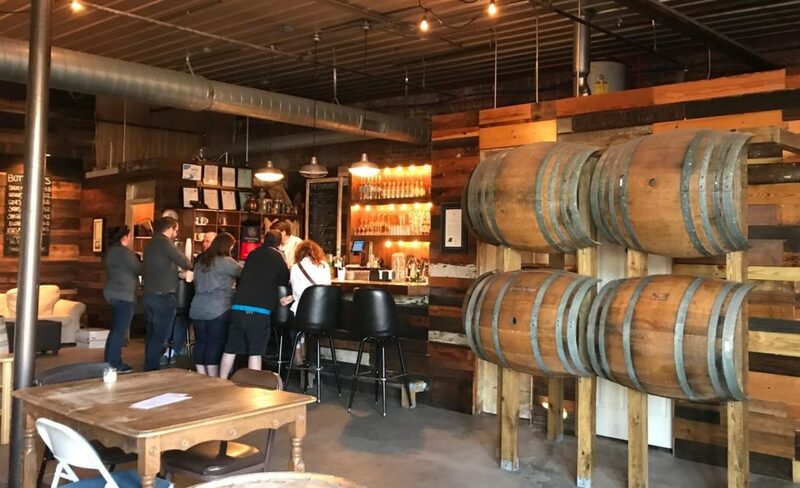 Restaurants, bars, a brewery and now a distillery maintain the downtown’s pulse late into the night hours. Getting to this point was a gradual process that goes back decades. 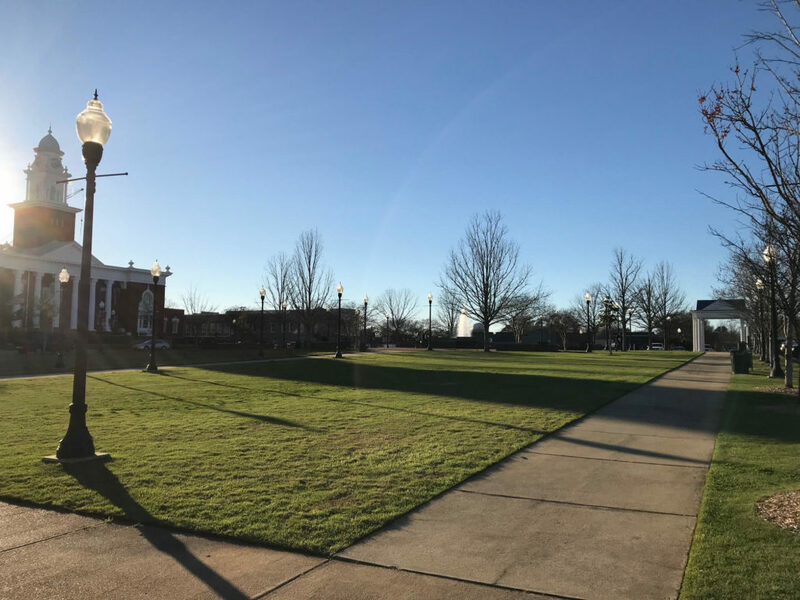 Opelika Mayor Gary Fuller estimates the first steps took place under his predecessor former Mayor Bobby Freeman in the mid-1990s. Freeman’s successor Mayor Barbara Patton continued the effort, and the transformation is still taking place today. What happened next Fuller suggests was something of an attitude adjustment by the downtown business owners. Initially, he explained the attitude seemed to be the businesses were downtown were something of a hobby for their owners. However, once they realized these businesses could be profitable, things started to change. Fuller says the Irish Bred Pub, an establishment on the edge of the downtown district by the railroad, sparked his downtown’s resurgence. The Irish Bred Pub (not to be confused with its franchise in Montgomery on Dexter Avenue that started that downtown’s revitalization) replaced an old drug store. The two-story gastropub has a balcony that wraps around a street corner and has an interior that is outfitted with mahogany to give a classic look. Fuller credits local developer John Marsh the Irish Bred Pub’s interior and many of the other revitalized elements in Opelika. Marsh, who Fuller describes as a “young entrepreneur,” is the owner of J Marsh Enterprises, Inc., a company that is in the business of—as Marsh would say—redemptifying historic spaces. “We’ve done 185-plus houses and buildings and ten blocks, so we’ve dedicated a good portion of the last 20 years to redeeming this small patch of ground,” Marsh said. “I grew up in Opelika. It’s been my home for about 30 years, and we believe there is something powerful about redeeming cities. So we’ve renovated all these downtown buildings and residential houses in an effort to make a difference. Marsh said his 50-year vision for Opelika has opened up other opportunities for his business, which include Stanford, Ky., Winter Haven, Fla., Bloomfield, Ky. and Albany, Ga. Critics of downtown revitalization projects cry gentrification, wherein the city improvements attract more affluent patrons and residents, with the effect of displacing lower-income people. Marsh says that is a faulty label for his efforts. Marsh seeks to break the cycle of cookie-cutter development, which has plagued a lot of places in Alabama – strip malls with chain restaurants that offer a near-identical experience, be it in Tulsa, Okla. or Lakeland, Fla.
As Fuller had said, the business owners’ attitudes have a lot to do with the character of the downtown. Marsh says the first ingredient to set that tone is the culinary offerings. The other elements beyond food he says are the overnight stay options, the specialty shops and retail and the residential component. “We think we can bring people in from one gas tank away,” Marsh explained. 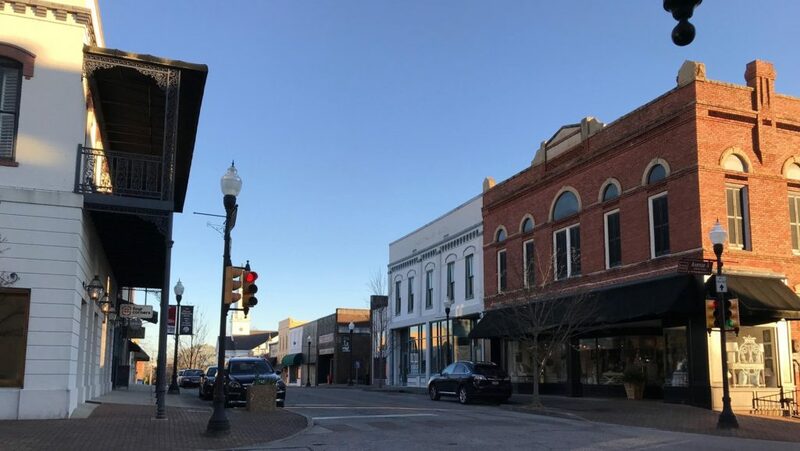 Two of downtown Opelika’s “unique” offerings, the John Emerald Distilling Company and the Red Clay Brewing Company, are side by side on the north edge of the city’s downtown. The John Emerald Distilling Company is a father-son team that released its first whiskey in 2015. That was a historic occasion given Alabama’s embrace of prohibition long before the rest of the country. Fuller also touted Red Clay Brewing, which he praised as one of Opelika’s big draws. Fuller anticipates the city will continue its role in downtown revitalization, just as it had when it started decades earlier. Currently, Fuller says there are a handful of downtown loft apartments that he highly recommends as nice and convenient. “I want to tell you – I’ve been in a couple of those lofts. My wife and I could live there just like that,” he said. Fuller, a four-term mayor, said he would like to see more residential offerings, perhaps in the form of a condo development. Lacking in Opelika’s downtown portfolio are hotel options. Aside from the Golden Cherry Motel, made famous by the 1979 Academy Award-nominated film “Norma Rae” and has seen better days, and the Heritage House Bed & Breakfast, most of Opelika’s lodging accommodations are away from downtown. They are around exits off of nearby I-85, or north of town near the city’s much-celebrated Grand National golf courses, part of Alabama’s Robert Trent Jones golf trail. Marsh told Yellowhammer there is a plan in place to change that. “We’re in the process of putting together an 88-room boutique hotel,” he said. Marsh explained the entire effort had been a learning process through trial and error, which he indicated has made his business better positioned for the future. Marsh predicted there would be “a lot more” over the next two years. Jeff Poor is a graduate of Auburn University and works as the editor of Breitbart TV. Follow Jeff on Twitter @jeff_poor.